WWoHP Pt. 1: So what does Butterbeer taste like? I’ll admit it. As much as I love visiting Walt Disney World, our family vacation last summer was overshadowed by a certain Boy Who Lived. Of course, I mean our planned side trip to Universal Studios’ Wizarding World of Harry Potter. I’ve read all of the books, our 10 year old daughter is half-way through the series, and of course we’ve seen all of the movies again and again and again. 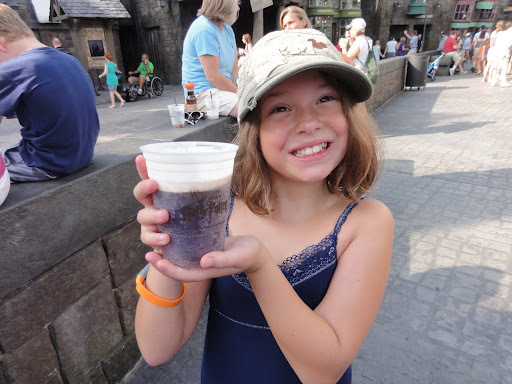 So as happy as we were to be going to WDW, the biggest question on all of our minds was, “What does Butterbeer taste like?” Let me start by saying, this is not the best thing to plan your WWoHP day around. In fact, that singlemindedness of purpose really threw off our visit. 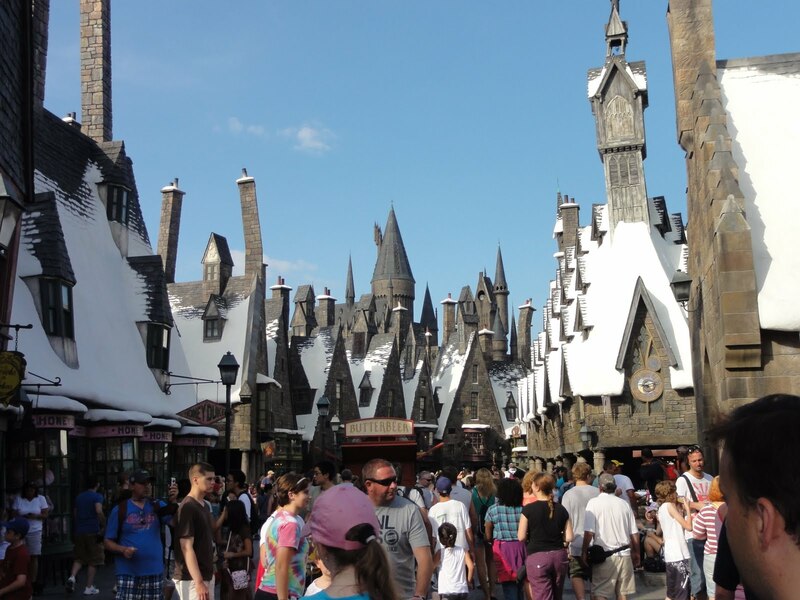 Hopefully this cautionary tale will help you to navigate this weird amalgamation of Diagon Alley, Hogsmeade, and Hogwarts more like a returning 5th year than a goggling muggle-raised 1st year. Tip 1: If at all possible, stay in a Universal partner hotel to gain early admission. During peak season, early admission is really crucial to being able to fully enjoy the WWoHP. The difference that hour makes between standing in long lines and being generally miserable vs. experiencing the magic and wonder of Potter is worth the aggravation of switching hotels. I’ve been to WWoHP twice now – the first time we day tripped over to Universal from our base at Animal Kingdom Lodge, and the second I stayed at the Loews Royal Pacific Resort. For convenience and early admission, the Loews was definitely the better option. Theming is good (though not Disney), rooms are fine, and the pool area is wonderful. If you don’t stay at a qualifying Universal hotel, this is what you may experience when you get to the park. See what looks like the front of that line? That’s about a quarter mile from the entrance to the WWoHP. The kid biting her nails to the right is mine – at what felt like the end of the line. By the time we were allowed in, the line stretched another quarter mile behind us. Seriously, get the early admission. 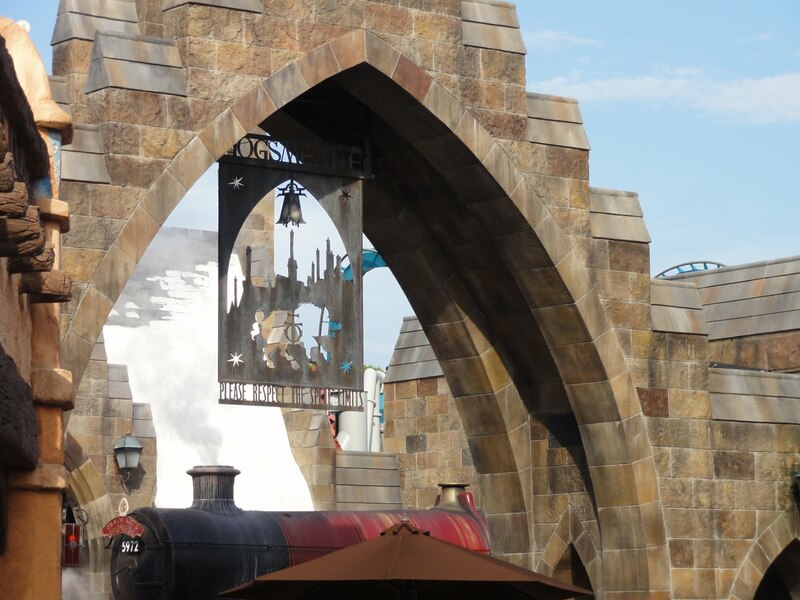 When I returned and stayed at Universal, I walked right in as soon as the gates opened to a completely empty World, and spent a leisurely hour poking through the shops. It was lovely. The first time was not. Behold. Tip 2: Focus on what is important to you first. Do not get distracted. …and find yourself in the magical town of Hogsmeadiagonwarts. But really, don’t get distracted. We made the fateful mistake of stopping for Butterbeer first. 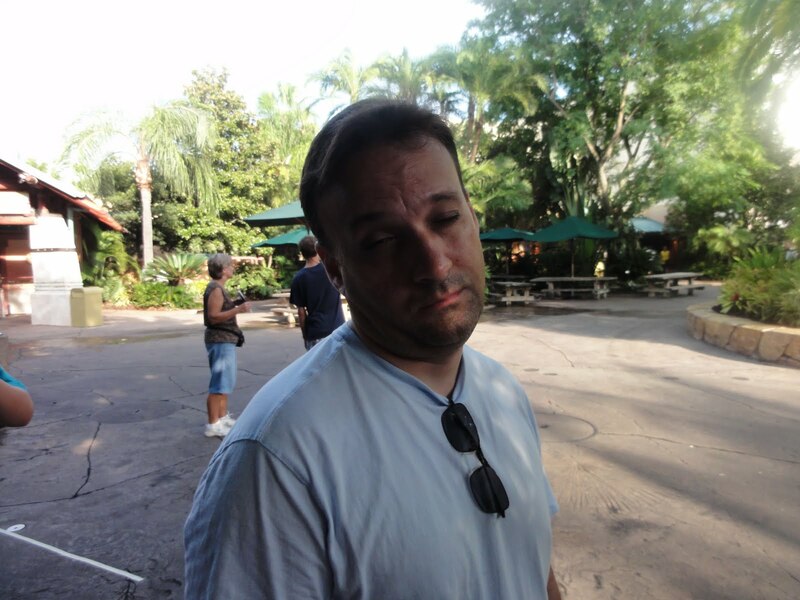 As a result, we waited in line for almost two hours for Forbidden Journey, and never did make it to Olivander’s. There are really only two good options to choose from when you first enter. Either get in line for Harry Potter & The Forbidden Journey, or for Olivander’s Wand Shop. (Lagniappe: stow your stuff in the lockers near the Hogwarts Express if you’re riding Forbidden Journey. The locker line is very long near the attraction.) If you are prone to motion sickness, or are traveling with kids who are frightened of the dark, dementors, or giant spiders, skip The Forbidden Journey. After riding it, I spent the next 20 minutes hanging out with Moaning Myrtle in the cool ladies restroom while my family took in the sights. Even if you’re not traveling with kids, you’ll want to see the show at Olivander’s. It’s very fun. But the line gets ridiculously long. My advice: go to Olivander’s first, then go to the Forbidden Journey. The line gets long at Journey, but it is so well themed and entertaining, that it’s not an awful wait. The line for Olivander’s is all outdoors and not at all entertaining. 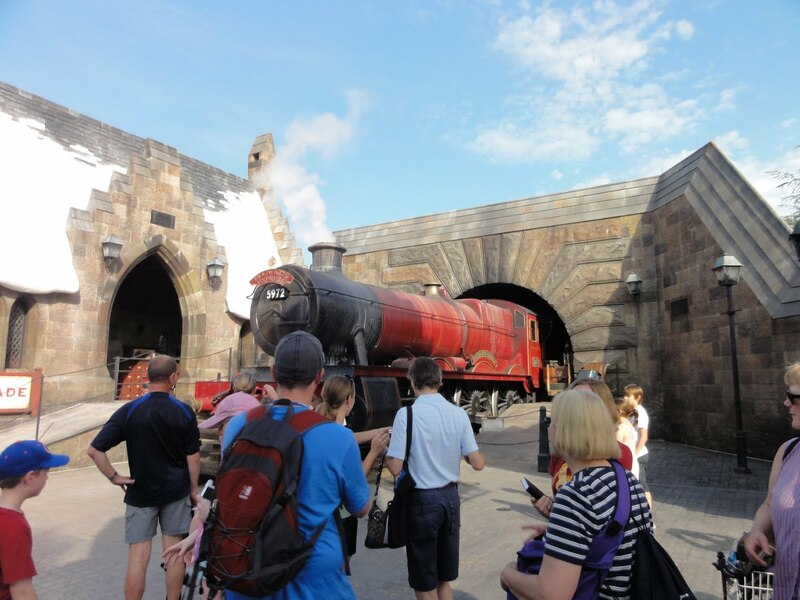 Tip 3: Be warned – the expensive front-of-the-line passes you can purchase at Universal are not honored for Forbidden Journey. After you’ve hit the two main attractions, if you like coasters, head to Dragon Challenge. It is truly fantastic. 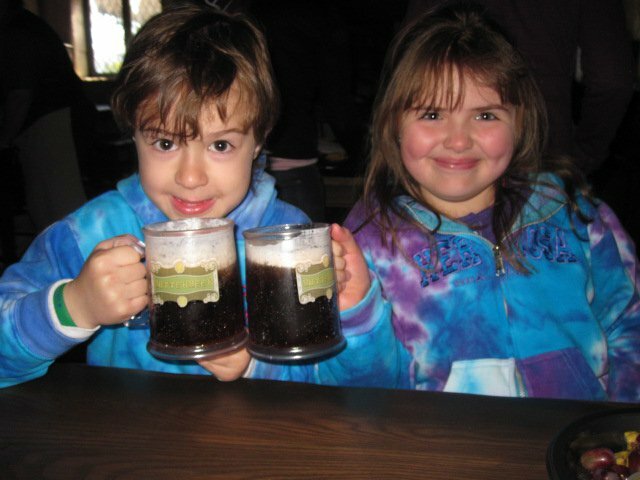 Tip 4: Only after you’ve ridden the coasters should you consider getting some butterbeer. Seriously, and not just because of the lines. Once you taste it you’ll understand. Butterbeer is one of the most sickeningly sweet things you will ever drink. It’s like cream soda with butterscotch syrup added, with a dollop of butterscotch flavored cool whip layered on the top. No joke – it is sweeeeet. My daughter and husband, both with massive sweet teeth (tooths? ), loved it. I took two sips, and bought a pumpkin juice instead. The good news is that the pumpkin juice is surprisingly delicious and refreshing! It’s basically apple juice with pumpkin puree and pumpkin pie spice, which sounds odd, but is very good. We were being “purists” the first time around, and only tried the draft. On my return trip, I tried the frozen, and it is definitely the way to go. The colder temperature is really necessary to balance the sweetness. So to sum up Part 1: Get there early, Don’t get distracted, Consider whether Express pass is worth it to you, and get a frozen Butterbeer AFTER you’ve ridden the coasters. Next up in Part 2: Eating around Hogsmeadiagonwarts.